This week I want to introduce my readers to an author whose work includes a variety of genres. She is a very talented writer who will soon release her first novel that I predict it will be a great success. Gloria Hander Lyons has written motivational and humorous short-stories, a book on self-publishing for authors, cook books, party books, wedding planning books, and home decoration books for starters. A half-dozen of her stories have been accepted and published in the Chicken Soup for the Soul series of short-stories. Gloria taught self-publishing classes at a local community college in the adult learning program. Check out her books on her website at http://www.gloriahanderlyons.com/. 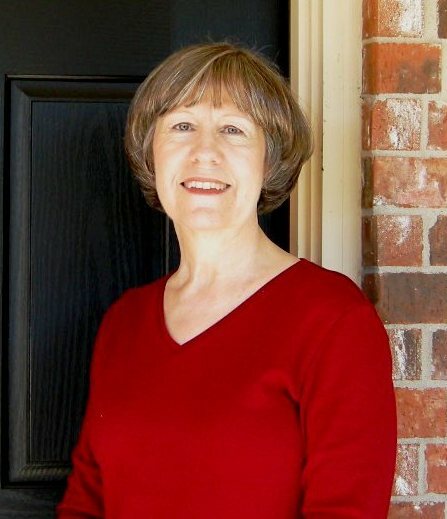 She also owns Blue Sage Press, the publishing company that she publishes books through. 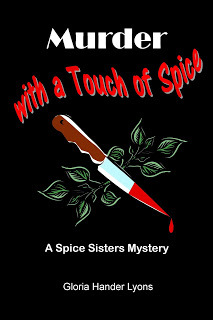 Murder with a Touch of Spice is the title of her new novel, due to be released very soon. It’s a mystery story with a touch of humor. I had the privilege of reading the manuscript recently and it met my standard for a really good book. From the moment I read the first paragraph, I didn’t want to put it down. Keep an eye out for this one! I intend to post another story about Gloria once her novel is released, but in the meantime, I must tell you one other thing about my friend. She is one of the two most inspiring persons I have ever met. (The other is my daughter, Kathy.) Gloria is very ill…well, I think I’ll let her tell you, with an excerpt from her blog. I encourage everyone who has ever experienced a single episode of questioning if you can make it through the day, to visit Gloria’s blog, A Joyful Life: My Cancer Journey, and sign up for her blog postings at http://gloriasjoyfullife.blogspot.com/2013/03/my-cancer-journey.html. She’s a very positive, giving person, and you’ll see it in her blog stories. If you enjoy these short stories and featured authors, please sign up to receive e-mail notices when a new one is posted. Just enter your e-mail address in the column to the right, just below my books. Then follow the instructions.